Barack Obama and the First Lady, Michelle Obama, have kept a tight lid on photos of their precious daughters being released by the press. Still, we have seen a startling lack of pictures from the early years of Malia and Sasha. Now we have evidence that this may not be due to the fact that Michelle has ordered the press not to release them, but that they do not exist. Malia and Sasha little resemblance to their parents. As FOTM points out, this could very well be because the two girls were adopted, possibly from Morocco. Just as we have seen with their father, there isn’t much evidence of their background. Online searches for Malia and Sasha’s birth records come up dry. We have seen pictures of Barack and Michelle dating back far BEFORE they had children, like shots from their wedding, but when it comes to what would have been Michelle’s child-bearing years, there is absolutely nothing. Not one picture of her pregnant or with a newborn baby. Ancestry.com and GenealogyBank.com have no records of Malia or Sasha being born, which is too unlikely to be a mere coincidence if they are in the fact the biological children of Barack and Michelle, considering the fact that they are widely-known public figures. Adding to suspicions, is the fact that Malia and Sasha were allegedly delivered by a close family friend of the Obama’s, Dr. Anita Blanchard, though no public record of those deliveries exists. Wikipedia’s source for that assertion regarding the birth of the Obama’s daughters is referenced by an article of Jodi Kantor titled “Obama’s Friends Form Strategy to Stay Close,” in The New York Times of December 13, 2008. The article is about a group of Obama’s closest friends in Chicago, among whom are Valerie Jarrett (now Obama’s senior White House adviser) and a black man named Martin Nesbitt who is now, according to NYT, a “real estate executive”. Nesbitt’s wife is Dr. Anita Blanchard. 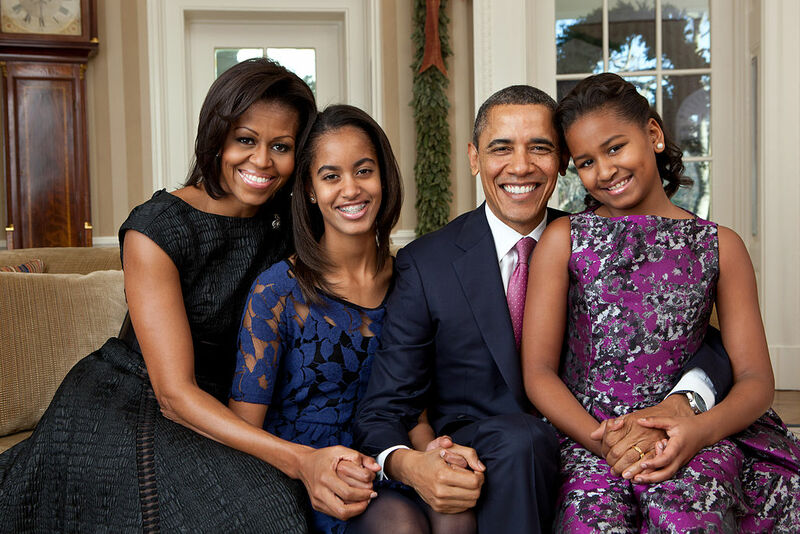 Do you think Malia and Sasha are the biological children of Barack and Michelle Obama? For more evidence, go here.